He has been building web-based products for more than a decade and started building his own products as the founder of WiredReach, and their flagship product BoxCloud. 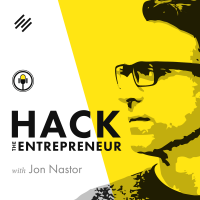 My guest is the founder and CEO of LeanStack, building tools, content, and coaching that help entrepreneurs succeed. He is also the author of Running Lean, and the brand new book Scaling Lean.